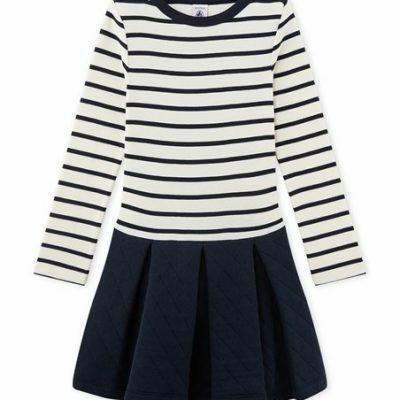 This girl’s dress with long sleeves has a two-in-one look and mixed fabrics. 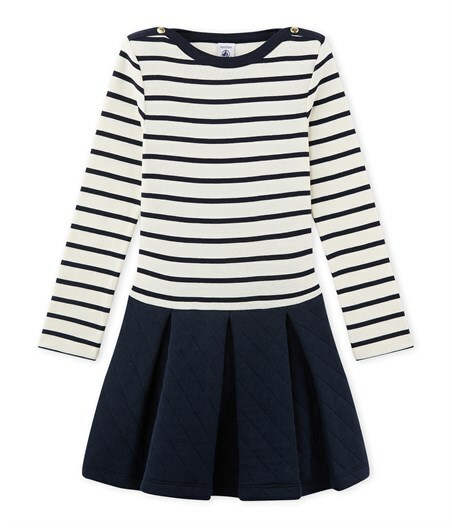 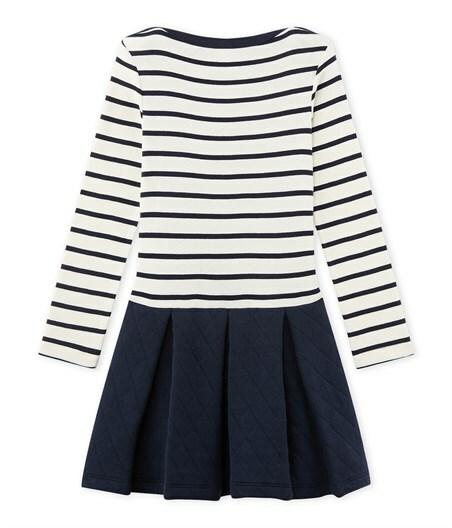 The top is made in brushed 1×1 rib with sailor stripes, and the skirt is in a diamond-quilted double knit. 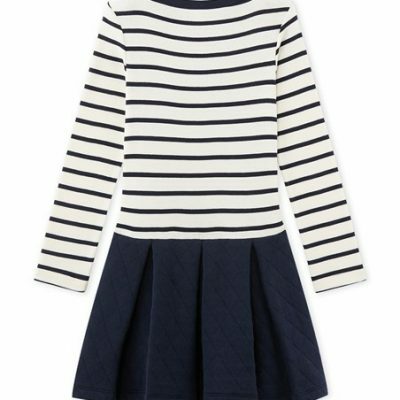 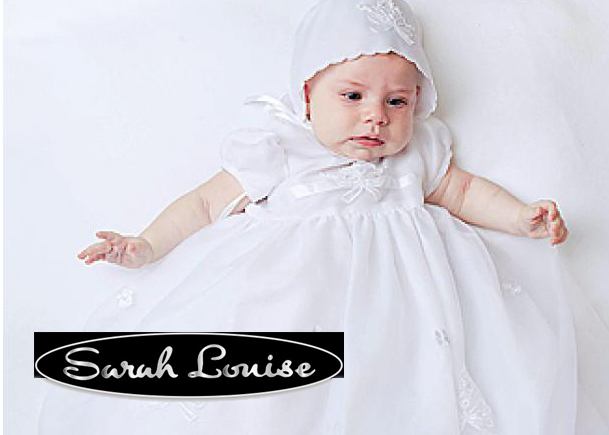 This girl’s garment has a feminine cut and features a top with a contrasting boat neck and a skirt with box pleats.